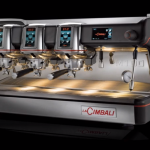 A big shout out to all home baristas…a new La Cimbali M26 TE with custom finish could be yours! 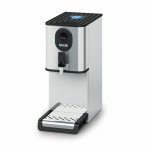 To celebrate the launch of our M26 traditional machine range at The London Coffee Festival we are giving away a one group M26 TE to one very, very lucky home barista. 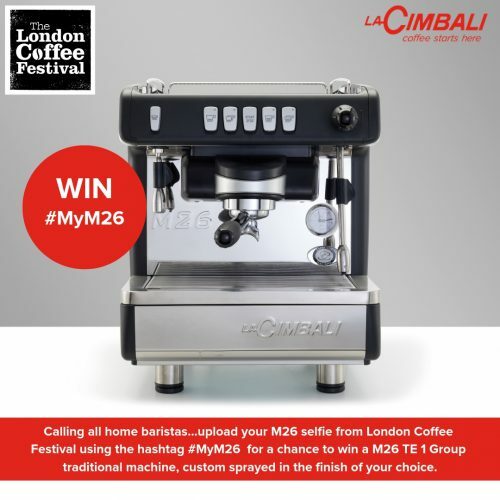 Just upload an M26 selfie from the London Coffee Festival (look for the two M26s on display on the La Cimbali stand in Hyde Park) and post to Instagram using the hashtag #MyM26 for your chance of winning an M26 in the colour finish of your choice. 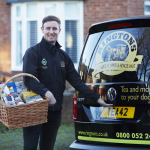 Closing date for entries is midnight 31 March. Good luck! The winning entry will be picked at random and the judge’s decision is final.